Efflorescence began as a yearlong installation, featured in the third iteration of The River Project at Slocum's River Reserve in South Dartmouth, Massachusetts and has now found its permanent home in the sculpture garden at Dedee Shattuck Gallery in Westport, MA. Five steel elements are installed in a wooded grove. 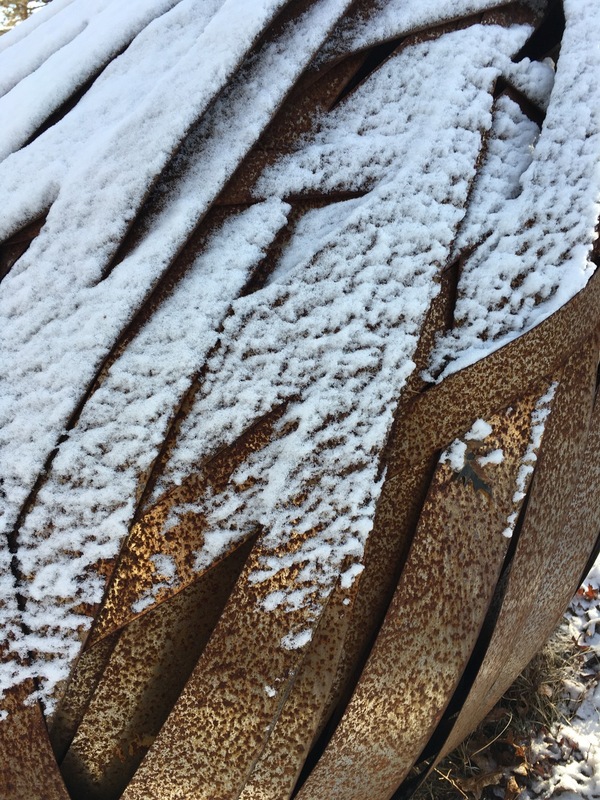 The steel is left untreated, resulting in a surface that changes with the landscape through the seasons. The pieces depict a stage before efflorescence--the anticipation of blooming-- or after it-- the decomposition of life. In the woods, as in life, death and decay are the mothers of growth and rebirth. Ends lead to new beginnings, the wilting and falling of one entity anticipates the blooming of another. The piece itself embodies anticipation, hope, and the experience of a new experience emerging from the end of an old one. 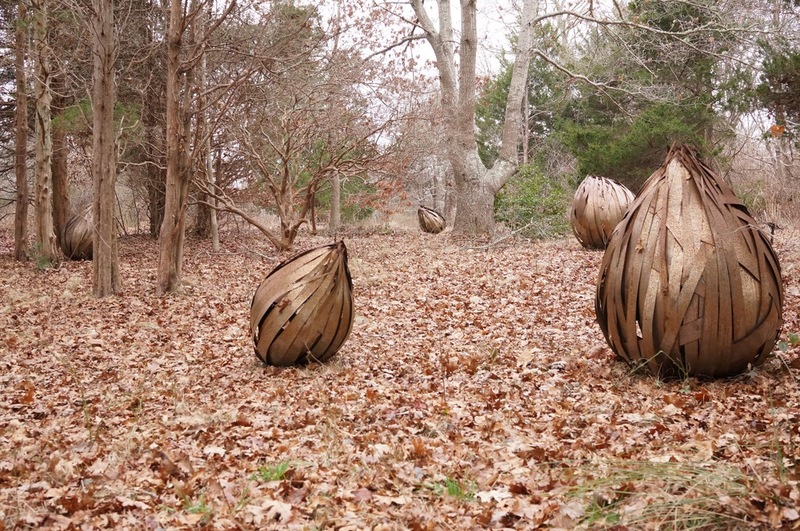 The River Project , is a biannual exhibition of artists creating site sensitive works for the Slocum's River Reserve in South Dartmouth Massachusetts. Artists are invited to submit proposals are selected for a year long exhibition. The other 2015 artists were James Lawton, Matthew Hincman, Jenine Shereos, and Liz Shephard. Past Artists have included Lasse Antonsen, Nancy Train-Smith, Ellen Lewis-Watson, Stacy Latt-Savage, and Ron Rudnicki. The accompanying exhibit Thoughts and Processes opened simultaneously at the nearby Gustin Gallery. This exhibit features finished works as well as sketches, plans, and models, illustrating the development of each artist's River Project works.